The oryoki meal is included in the cost of the zazenkai. However, to receive their meal, participants will need a set of oryoki bowls. Participants may bring their own set. They may also rent an oryoki set for the zazenkai. The suggested rental donation for the oryoki set is $5/day. To rent an oryoki set, please add the rental payment when registering. Registration closes Friday, February 8 at 11:59 pm. Click here to register. Partial scholarships are available for retreats such as this one. To apply for a scholarship, please use this link and wait for approval before registration. Scholarship applications are due by Wednesday, February 6 at 11.59 pm. 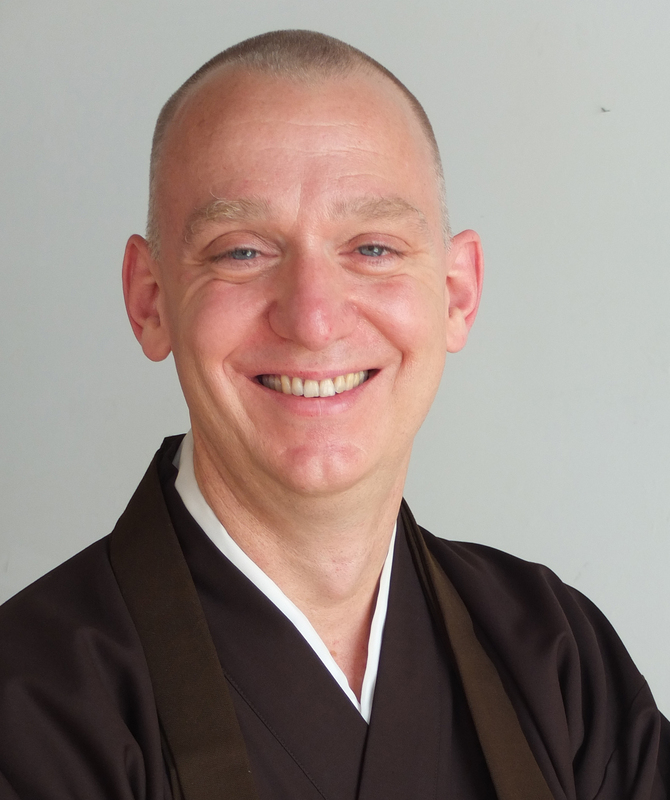 Greg Snyder is a dharma teacher and senior priest at Brooklyn Zen Center, as well as its co-founder and current President. He is also the Senior Director of Buddhist Studies at Union Theological Seminary, where he directs and teaches in a Masters of Divinity program focused on Buddhism and Inter-religious Engagement. Greg received priest ordination and dharma transmission from Teah Strozer and is a lineage holder in the Suzuki Roshi lineage of Soto Zen. Greg is active with multiple interfaith and community networks organizing around peace-building, anti-violence and social justice initiatives, and currently sits on the Brooklyn Borough President’s Advisory Council on Faith-based and Community Partnerships. Greg’s practice of Zen and the dharma includes an understanding that personal and social liberation are a deeply integrated process of mutual unfolding. In addition to teaching in a formal Zen context, he facilitates Undoing Whiteness and Undoing Patriarchy workshops and ongoing groups that focus on investigating self-identities that may unconsciously perpetuate societal suffering. His efforts include ensuring the dharma is truly available to everyone, supporting young people in practice, developing a community-responsive Zen center, and advocating for bringing the illumination of conditioning around patriarchy, racism and economic exploitation to the center of our Buddhist exploration of self. He is devoted to co-creating an American dharma movement that fully embraces a deep social engagement focused on transforming inequity, bias and violence in ourselves, our communities and the world. Access Notes: There is one short flight of stairs leading to the entrance to the building. Please press 3-0 to be buzzed in. The center is located at the top of a steeper second staircase of 28 steps. A ramp and elevator are available via an alternate entrance; please email in advance if you need access to the ramp. Chairs, benches, and extra support cushions are available. We are not yet a fragrance-free space; our hand soap is scented with essential oils. If you have any additional questions about accessibility, please contact us at info@brooklynzen.org.